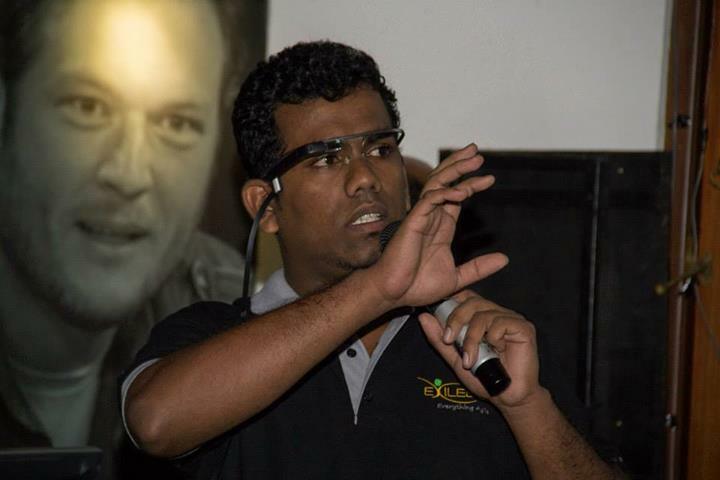 Google Glass in Colombo Agile Meetup…! Shamira Dias (Delivery Manager, Exilesoft), started the talk, with the Subject “Unfamiliar territory and uncertain outcomes: The Google Glass Project”. So he elaborated the types of projects that Exilesoft do, and how the developers here at office and onsite, deal with it. Sometimes they are not familiar with the business domain, but holding back is not the prudent thing to do. Therefore, to add to it, when a project appears with an unfamiliar object he explained using the Google Glass project which they are currently working on in Exilesoft, how agile practice helped them, and how they co op-ed and won, in the end. Next the talk was passed onto Sanath Nandasiri (Software Engineer, Exilesoft) one of the two developers, directly connected with the ongoing Google Glass project (the other one is Me ). He explained what Google Glass is, what it has, what it can do and available features on it. So the session went with some live Google Glass Demo, which really entertained the audience. One of the important features I thought was, it runs Android 4.0.4 and it got a wonderful natural voice recognition which has a high accuracy rate. 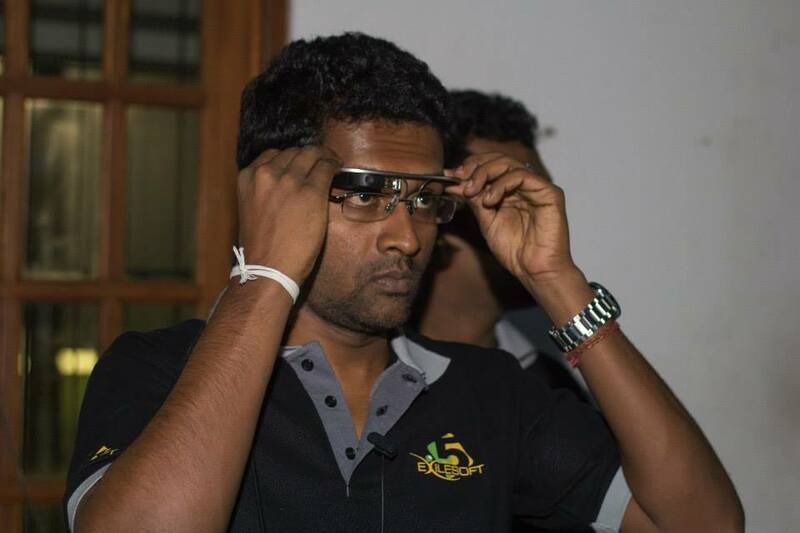 Further on Sanath moved into Google Glass development. There are 2 ways that we can approach the GLASS development. They are the native way (Android) and the Glassware development (Server Side using Mirror API). Then he explained how the glassware works, what the role of the Mirror API is and the technologies used to develop a glassware. Native development is similar to the traditional android development but with some restriction of functionality and libraries. 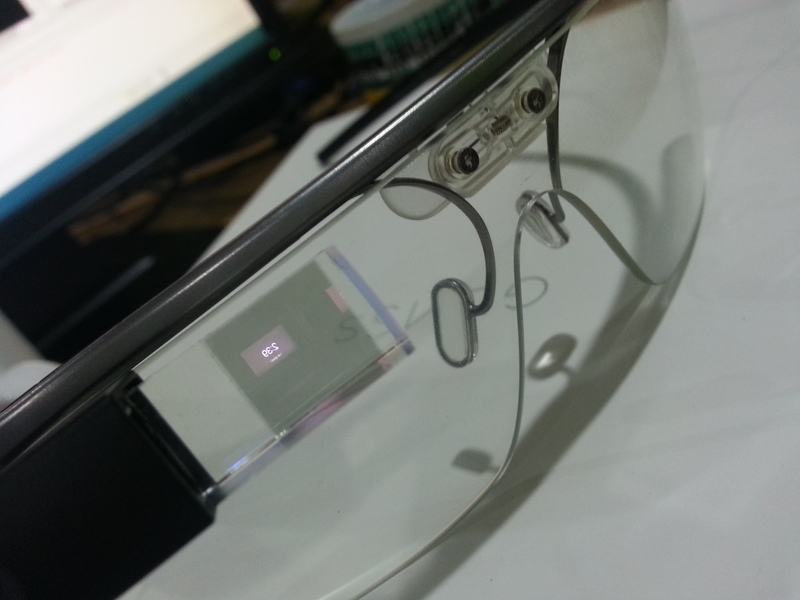 One of the reason for the restriction is caused by the lack of sensors in Google GLASS unlike normal Android phone. Those functions can be achieved by pairing to your Android phone through Bluetooth. Also explained how the glassware authentication take place under the hood. Then another round of demo session took place explaining the Google GLASS Time line. And a cool thing happened for developers, there has been a code review on Glassware and the code has been open sourced. The source can be downloaded here. Also as a bonus, Sanath explained and showed how you can bring in Google Glass in your Android phone that is running Android 4.0.4 or later, this will be a great emulator to test your Glassware apps (It cannot be used to test native apps though). Finally Dulan Bandara (Software Engineer, Exilesoft), explained about unit testing and its importance in the Glass Project. Then he compared unit test on Android and unit testing on Google Glass. There was a hands on coding demo for the unit testing. It’s important to mention that a bunch of visitors got a chance to try out the Google Glass. They were awed at the experience they got. 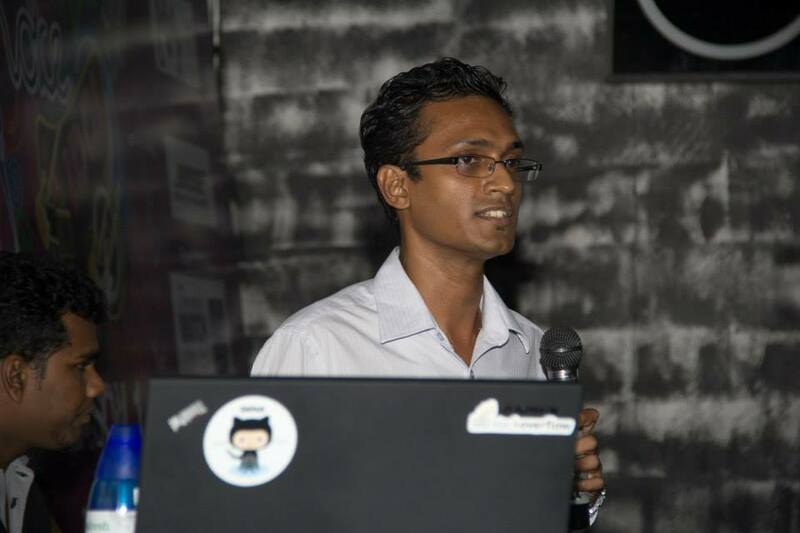 The talk came to an end with the Introduction of a new meet up group “Colombo Mobile Meetup”, and an Announcement of the upcoming DevDay 2013. For the complete collection of research and development article on Google Glass explore my Blog. Meetup Organized by Exilesoft (Pvt) Ltd.